Raphael Magezi addressing the media after he stormed out of the Legal Affairs committee hearing. Courtesy Photo. The rift between Igara West MP Raphael Magyezi and the committee on Legal and Parliamentary Affairs has taken an even more fractious turn after the legislator stormed out in protest. Magyezi walked out on the committee vowing never to return. The committee has started conducting public hearings on the Constitutional (Amendment) (No. 2) Bill, 2017, recently tabled by Magyezi. The committee led by its chairperson Jacob Oboth-Oboth, the West Budama MP, invited Magyezi together with Jackson Kafuuzi, the Kyaka South MP and Jinja West MP, Moses Balyeku who seconded the bill, to make their submissions. During the hearing, Ibrahim Ssemujju Nganda, the Opposition Chief Whip tasked Magyezi to provide documentary evidence showing when he was granted leave of Parliament to prepare the bill, when the gazette was made and when the certificate of financial implication was issued. In his response, Magyezi said the bill was gazetted on September 28, 2017 and the certificate of financial implication issued on the same date. He tabled the gazetted bill and certificate of financial implication, which he said was issued by the finance minister, Matia Kasaija to back his submission. Ssemujju asked Magyezi to explain how it was possible to gazette the bill and also get a certificate of financial implication on the same day. In his response, Magyezi noted that the responsibility of printing and gazetting bills lies with the Clerk to Parliament as provided for under Rule 112. As a result, Ssemujju tasked Magyezi to produce evidence showing that he made a request for the certificate of financial implication in vain. 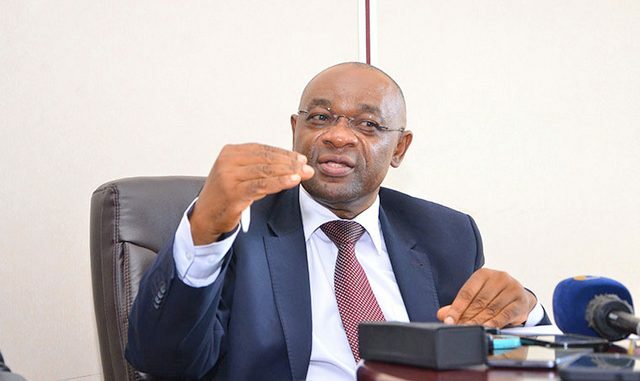 “I was a member of the 9th Parliament, the honourable Raphael Magyezi locked himself in a room with a female member of parliament from Kalungu and they forged a report for the committee on local government and public service. We debated this matter, if you want evidence I will give you and a select committee was put in place to investigate that act by honourable Magyezi. He was actually found culpable and that report was thrown out by Parliament. So it is not that am throwing a doubt am actually stating a fact that Magyezi has forged before,” Ssemujju said. Oboth-Oboth ruled that they will invite the clerk to parliament, Jane Kibirige and finance minister Matia Kasaija to explain the authenticity of the submitted documents. 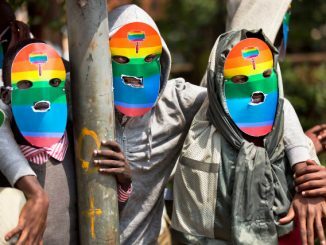 However, some committee members opposed to the bill including Medard Lubega Sseggona, Mathias Mpuuga, Muhammad Nsereko and Monicah Amoding among others insisted that the committee addresses itself to the established rules. Oboth-Oboth said that this would be done at a later stage. He allowed Magyezi to proceed with his presentation after taking an oath. However, the committee members repeatedly raised procedural matters that were ignored by Oboth-Oboth. This prompted Monicah Amoding, the Kumi Woman MP and her Busiro East counterpart, Medard Lubega Sseggona to walk over and switch off Magyezi’s microphone, saying he should respect the committee. Monica Amoding attempts to switch off Raphael Magyezi’s microphone. Courtesy Photo. Efforts by Oboth-Oboth to calm down the situation didn’t yield results as the MPs insisted that Magyezi respects the committee. At this point, Magyezi dropped his submission and walked out in protest. He was followed by his two seconders. Oboth-Oboth said the committee will invite Magyezi another time to present his submission. 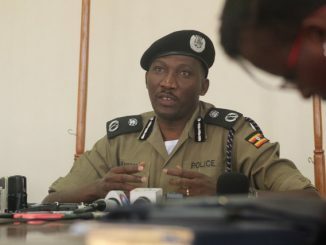 The committee also blocked the Justice and Constitutional Affairs Minister, Kahinda Otafire from making his submission on grounds that he had presented unsigned documents. Although Otafiire owned the unsigned documents, he refused to append his signature prompting the MPs to reject them. Oboth-Oboth decided to dismiss Otafiire, saying he will invite him at a later date. Shortly after storming out of Parliament, Magyezi said he’s now considering taking back the bill to the House. He claimed that what transpired in the committee is a continuation of what happened in the house when he presented the bill in the House. “Certainly this a serious matter that a bill of this magnitude is sent to the committee and the committee members are not ready to listen to the bill mover. My seconders, nobody even talked. 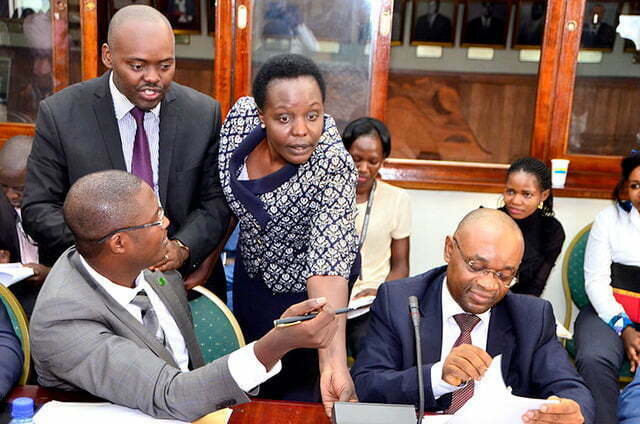 You had them go to KCCA…9th Parliament…in the village – all those diversions. You know, I don’t produce the certificate of finance implication and if you question it, go to the minister after listening to us, they would invite the minister, the clerk to parliament. 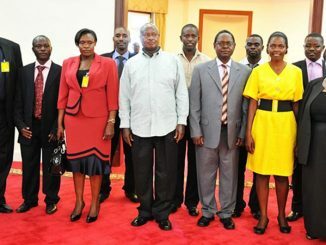 They would invite whoever they want,” Magyezi angrily said. Rule 15 of the rules of procedure states that; “Any member may, with consent of the speaker, move that any rule be suspended in its application to a particular motion before the House and if a motion is carried, the rule in question shall be suspended”. Whenever a bill is read for the first time in the house, it is referred to the appropriate committee appointed. He says the speaker will now take charge of the bill since the committee has frustrated it, adding that he had done his part.